Coconut oil for Alzheimer’s: How to Use? Alzheimer’s is a condition in which there is memory loss and caused problems with thinking, memory and behavior. The symptoms develop slowly and worsen over time. It mainly affects people who are 65 years or older, but can also be seen in younger adults as well. A lot of microscopic changes happen in the brain long before the first sign of memory loss appears. 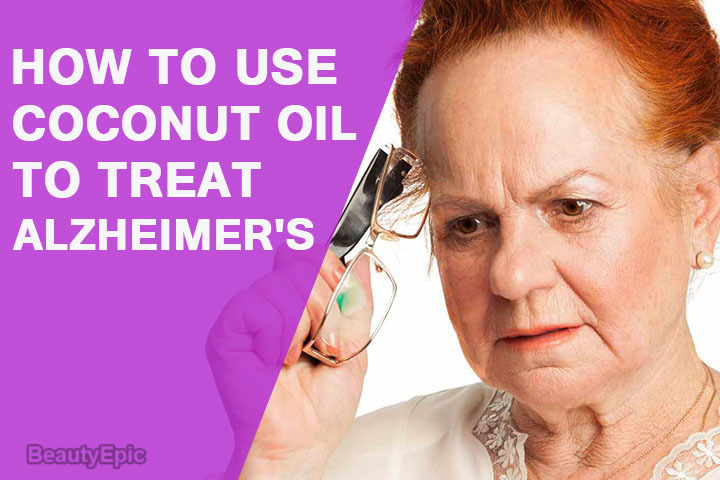 Let us read to know how effective is coconut oil for alzheimers. What is The Link Between Coconut oil and Alzheimer’s? 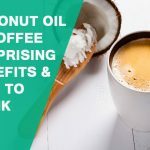 There are claims that coconut oil could be used as treatment for Alzheimer’s, though not enough experimental evidence is seen to back up these claims. The probable theory is that the neurons in the brain of Alzheimer’s patient are unable to process sugar and generate energy and therefore they starve and die. The theory of using coconut oil is, it acts as alternate source of energy. The coconut oil contains more ketone and thus absorbed by body more easily and quickly by the brain and converted directly into energy. 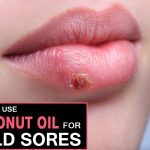 Consume coconut oil in multiple doses for lasting effect. It works as an alternate source of energy for the brain cells by improving the body’s use of insulin. The ketones are produced when the fat is converted to energy. These are produced when coconut oil is digested and act as an alternate source of energy. Repetitions: Twice daily (week 1), thrice daily (week 2), four times daily (week 4). Best time to apply: Along with meals. Tips: Maximum of 6-8 teaspoons per day can be consumed and not higher as it may lead to loose stools. MCT oil is the medium chain triglycerides (or fatty acids) are a top source of healthy fats. They are burned as fuel instead stored as fat in the body. There are 4 types namely lauric acid, capric acid, caprylic acid and caproic acid. MCT oil is given for Alzheimer’s patients in the form of medical food called Axona. It is also called “dregs” left over from the manufacturing process of coconut oil. Ingest 10-40g of MCT per day along with 1 -2 teaspoon of coconut oil. Coconut oil works as an alternate source of energy for the brain cells by improving the body’s use of insulin. The ketones are produced when the fat is converted to energy. These are produced when it is digested and act as an alternate source of energy. MCT oil produces high source of ketones when broken down, which readily cross the blood-brain barrier and provide instant energy. Tips: Do not consume MCT oil more than required, it causes diarrhea and digestive upsets. Turmeric contains curcumin which has anti-inflammatory property which helps in Alzheimer’s disease. It can be consumed in the form of smoothie. Turmeric has anti-inflammatory properties which slow down the progression of the disease. Coconut oil works as an alternate source of energy for the brain cells by improving the body’s use of insulin. The ketones are produced when the fat is converted to energy. These are produced when coconut oil is digested and act as an alternate source of energy. Tips: The Long term consumption of turmeric is associated with liver toxicity and hence to be avoided by persons who are heavy drinkers, liver disease and those who take prescription medications which are metabolized by liver. The benefits of coconut oil are discussed above along with various combinations to be consumed for Alzheimer’s disease. Though it may not cure the disease, it slows down the progression of the disease. 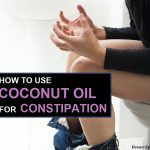 Coconut Oil for Diaper Rash: Does It Work and How to Use? 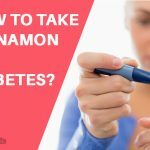 How to Take Cinnamon for Diabetes?